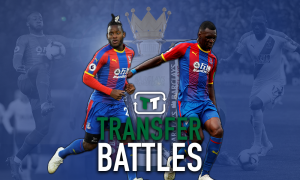 Transfer gamble could turn out as Crystal Palace's best ever coup | The Transfer Tavern | News, breakdown and analysis on all things football! Crystal Palace have enjoyed a busy week in the transfer market. Roy Hodgson is eager to avoid another relegation battle after saving the Eagles from the drop when they seemed destined for the Championship. The former England manager replaced Frank de Boer with Palace rooted to the bottom of the table without a single point. Hodgson managed to turn things around and guide his side to an 11th place finish. The ex-Liverpool boss has made three signings during the summer transfer window. West Ham midfielder, Cheikou Kouyate, for £9m while Vincente Guiata joined on a free transfer. However, it’s their latest signing that fans are buzzing about. Despite interest from Tottenham and Arsenal, Palace have signed Max Meyer on a free transfer after he left Schalke. Valued at £16.2m by Transfermarkt, capturing Meyer’s signature is a massive coup for the Eagles. He made 24 appearances in the Bundesliga last year as Schalke finished second in the Bundesliga behind Bayern Munich. Despite his impressive performances, Meyer was not a popular figure at the club due to his high wage demands. Eager to earn a big-money move away, Meyer was eventually suspended by the club for the rest of the season. If Hodgson can iron out his attitude problems, then Palace will have got a great deal. But with Meyer reportedly pocketing £170,000-per-week at Selhurst Park, it’s a risk if the move doesn’t work out. 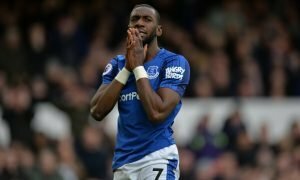 Nevertheless, the midfielder is still only 22-years-old and there is plenty of time for him to mature and develop into a star. With Kouyate behind him, Meyer has the creative freedom to express himself and prove his doubters wrong. Only time will tell whether the German will be a success in the Premier League. 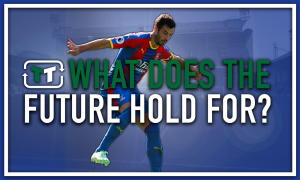 Crystal Palace fans, do you think Max Meyer will be worth the money? Comment and let us know!